Hey stamping friend!! How are you? 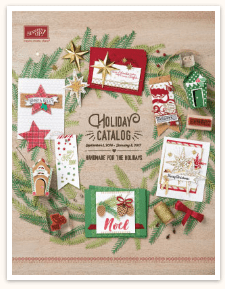 In the meantime, since I haven’t been able to sit at my crafting table (sitting here writing this post for a few minutes is the best I can do), I thought I’d share a bit of fun from the upcoming Holiday Catalogue! Trust me when I say – you are going to LOVE all 55 pages!! There are so many scrumptious new Designer Series Papers, new Framelits & Thinlits, new embellishments and of course stamp sets! For the first time ever, Stampin’ Up! has given us product videos that we can share with you – BEFORE the catalogue goes live! So over the next few posts, I’ll be sharing the videos with you, to give you a taste of what you’ll be able to order, starting on September 1st. 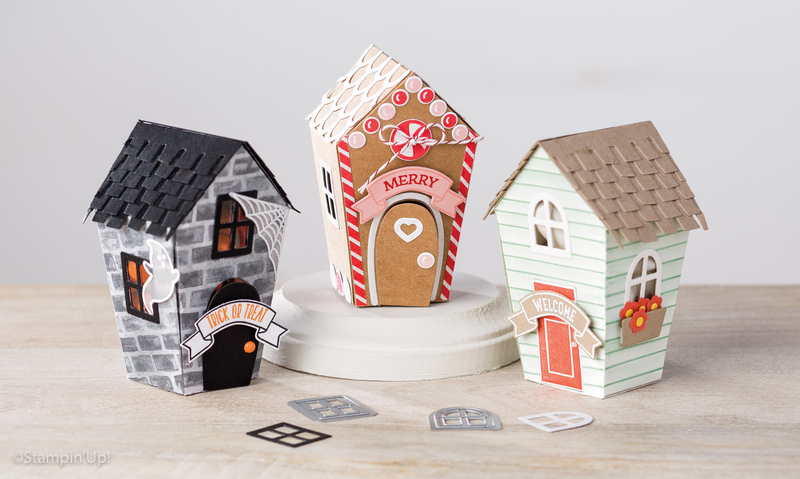 Are those little houses adorable, or what?!! I’m going to be making tons of these for craft fairs, hostess gifts, and give-a-ways to everyone I know, they’re so cute 🙂 The great thing is that you can use the stamps and thinlits together, to create and decorate a house, or you can use them together or separately to decorate a card front or scrapbook page. If you are a current customer of mine, you will automatically receive a new catalogue. If you haven’t been a customer in the last year, but would like to come back and shop with me, please contact me at debsmart@shaw.ca and I can arrange for you to receive a catalogue. If you’re new to the area, or Stampin’ Up! and don’t already have a demonstrator, I’d be happy to have you shop with me; drop me a note at debsmart@shaw.ca, and I’ll get in touch with you! 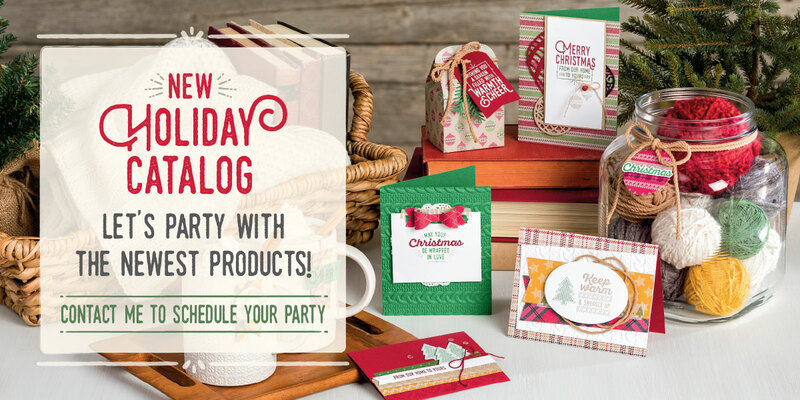 Of course, the best way to get your new holiday goodies for free, or at a discount, is to Host your own Stampin’ Up! party! Don’t worry – these ain’t your grandma’s parties – you can choose a theme if you like (perhaps one of the suites of products in the new catalogue, or in the Annual catalogue); you & I will set a mutually agreeable date and time. You bring your friends, and I’ll bring the supplies and fun! Everyone will get to create at least 1-2 projects, and view lots more of the tools and products that Stampin Up! has to offer. If a ‘party’ isn’t your thing – how about a private card class? Same idea – you get your gal pals together for an afternoon or evening of fun, we’ll do 4 cards at $20 per person, or only $10 per person if each person orders a minimum of $25 in products at that class. I’m going to be out of the country from Sept.11th – Sept. 26th, so BOOK EARLY for the best selection of dates! *Phew*! This post has taken me 2 days to write, thanks to the pinched nerve in my back! So I’m going to sign off now – I’ll be looking for your email to reserve your copy of the new Holiday Catalogue, and book your Stampin’ Up! Party or Private Card Class!